Super Eagles’ Technical Adviser Gernot Rohr has called up captain Mikel John Obi, assistant captain Ahmed Musa, goalkeeper Carl Ikeme and 21 others for next month’s 2018 FIFA World Cup qualifying match against the Fennecs of Algeria in Uyo. While he has retained the bulk of the squad that defeated Zambia 2-1 in Ndola earlier this month to establish Nigeria at the top of Group B of the African race. 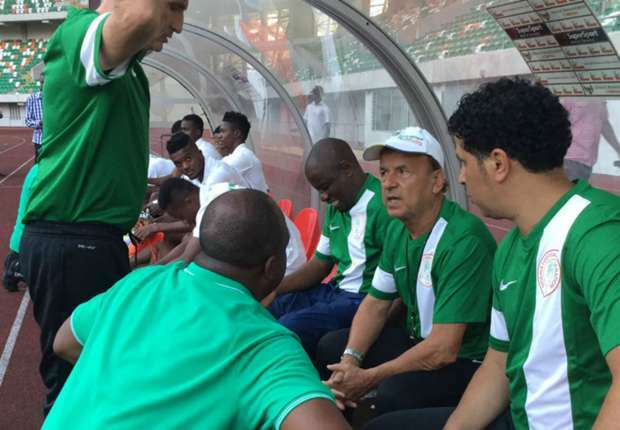 The Franco-German tactician has also beefed up the playing body with in –form Israeli –based midfielder John Ogu and Nigeria’s top scorer at the Olympic Men’s Football Tournament in Brazil, Oghenekaro Etebo. Germany –based defender Leon Balogun, back from injury, also returns while English Premiership stars Victor Moses and Odion Ighalo are also called. Former junior international goalkeeper Dele Alampasu and Dutch –based defender Tyrone Ebuehi are also invited. The invited players are expected to start arriving at the team’s Bolton White Apartment in Abuja on Sunday, 6th November. The Super Eagles welcome the Fennecs at the Godswill Akpabio International Stadium on Saturday, 12th November in one of the potentially most explosive games of the African series. Forwards: Ahmed Musa (Leicester City, England); Kelechi Iheanacho (Manchester City, England); Moses Simon (KAA Gent, Belgium); Victor Moses (Chelsea FC, England); Odion Ighalo (Watford FC, England); Brown Ideye (Olympiacos FC, Greece); Alex Iwobi (Arsenal FC, England).